After travelling Europe for most of 2015, I have been reflecting on the incredible memories and epic sights I have seen. The most common question a backpacker is asked is "Where is your favourite place?" This is a logical question for a number of probably very cynical reasons: it's interesting, it shouldn't take longer than five minutes, it's potentially useful if the person ever goes, and it is of course great to hear the most positive portion of a person's experience. However, this question is literally impossible to answer and even more difficult in a place like Europe, where in 48 hours you can go from desert ruins, through a famous city of the world and over a mountain range before arriving at the sea. The best answer I can provide is my five favourite destinations. While there are a number of factors to how much you enjoy a place, such as how you are feeling, who you are with or who you meet, the weather and your accommodation, I believe these destinations are so magical that it is impossible to not enjoy them. So without further ado, here are five destinations that you should add to your bucket list. Kotor is like Croatia was five years ago and its true magic is only just beginning to reach the ears of tourists. Located only a couple hours from Dubrovnik, Kotor is a destination that has something for everybody. Accessible from air, water and road, whichever mode you use will provide a stunning view of the Adriatic Sea and huge Bay of Kotor that is so beautiful and calm that you will think it is a lake. Stunning waterside villages and old towns are scattered around the bay with Kotor being the fairest of them all. The beautiful old town of Kotor will truly make you feel like you are part of a fairytale. It is just big enough to get wonderfully lost in the cobblestone streets and give you time to enjoy a couple coffees outside some incredible architecture, but small enough to have the homely and warm feeling that only a smaller town can provide. Surrounded by mountains that will leave you to pick up your jaw from the floor, Kotor has no shortage of hikes for you to work off all your holiday indulgences. An abandoned fortress overlooks the town and is about a two-hour round trip. The view from the top is truly one of a kind, so be sure to spend some time observing the old town below, the boats coming in to dock, and the silent power of the mountains all around. If you are looking for longer hikes, I highly recommend continuing up the mountain behind the fortress where you will find yourself at Lovćen National Park, home to the famous Lovćen peak which is absolutely stunning. 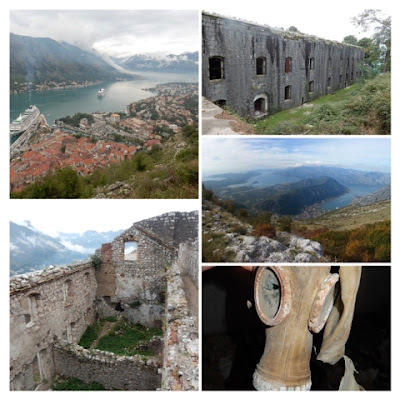 On another day, one of the most incredible abandoned fortresses I have seen overlooks Kotor from the other side. Called Fort Vrmac, you will have the chance to walk back in time through the abandoned and untouched Old Austro-Hungarian Fortress free of charge and alone (no-one knows about it). Kotor has it all, is cheaper than most other European destinations and is breathtaking, so what are you waiting for! It is no secret that Cappadocia is one of Turkey's most prized tourist attractions. While you will be one of the millions of tourists that visit Cappadocia each year, the breathtaking beauty of the region is well worth it. It really is a destination that is out of this world which is probably why many tourists come thinking that part of Star Wars was filmed there. Imagine a desert like place stretching along for miles upon miles and untouched at first glance. Incredible pockets of rock formations in every shape you can think of seem to grow from the ground and perfectly formed valleys and paths run through them. In the distance you can see rocky mountain ranges and little towns clinging to the larger formations. Upon closer inspection, you see that the majority of the formations have been hollowed out into cave buildings that people used to live in. 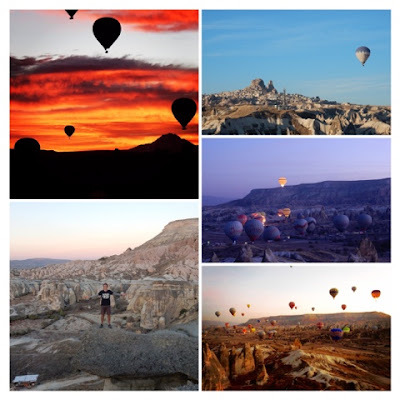 To make Cappadocia even more epic and beautifully strange, every morning hundreds of hot air balloons takeoff from the valleys to watch the sunrise. You can choose to go up in these hot air balloons and see the stunning scenery from above for 100 - 150 euros, and/or you can watch the sunrise and the balloons from the ground. Either experience will be something you will never forget and is once of a lifetime. I recommend staying in Goreme and make trips from there to the underground cities, incredible valleys and everything else Cappadocia has to offer. Only the best authors can truly depict what Cappadocia is like and therefore you will have to read something else or go there in person if you want to know more! Most likely Santorini is already on your bucket list, but on the off chance it isn't I have a duty to ensure that it is. The Greek Islands have a very strong allure to people all over the world and yet the picture I had in my mind was not accurate at all. The islands are extremely mountainous and many of them, Santorini especially, are surrounded by powerful and menacing cliffs. While unexpected, Santorini was jawdroppingly spectacular. 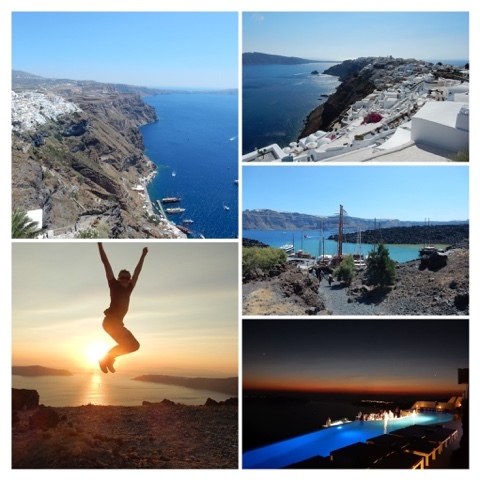 Thira and Oia, the two most famous towns on Santorini, are both built into the side of incredible cliffs with blue domed, stark white buildings. Looking out from the towns, you will see the cliffs stretching away into the distance with perfect blue water sparkling below like a million twinkling stars. On the water, it is likely you will see pirate ships taking tourists across to the volcano in the distance and cruise ships bringing more eager travellers into the old docks below. Santorini is home to one of the best sunsets in Europe. While you may initially battle with everyone else seeing the day away with a truly special experience, with a bit of exploring and an adventurous spirit, you can find a spot away from the crowds to enjoy the sunset in peace. Be warned, it is one of the most romantic scenes in the world and you will see many love-struck couples on your time in Santorini. Somehow this adds to the magic of this special Greek Island and everyone who travels to the island, whether they are couples on their honeymoon, to solo travellers whizzing around the island on their rented ATVs, or even people looking to lay by the pool or on the beach, will truly fall in love with Santorini. As I write this, it has occurred to me that most of these places are nature oriented. Eight months on the road has shown me that while cities can be a lot of fun, going to places a little further out with natural beauty is so much more rewarding. Lake Como in Northern Italy is a perfect example and one that is most definitely worth a visit. Arriving into Como, it is hard to believe it is only a two hour train ride from the bustling streets of Milan. From Como, you can take a bus around the beautiful and vast lake, though incredible Italian townships and eventually reaching a popular little village called Menaggio. The lake itself is so incredibly beautiful and the backdrop of the villages below the dominant surrounding mountains is a truly picturesque sight. 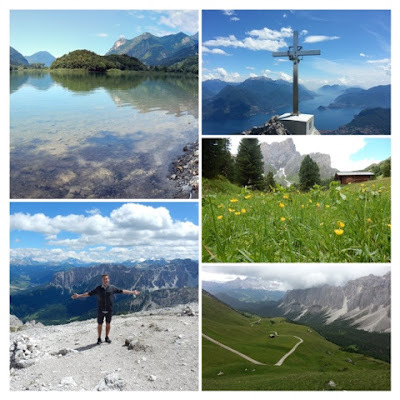 These mountains are fantastic to climb and the view while hiking throughout the region is unbeatable. Other activities available to you at Menaggio include boat rental, kayaking, stand-up paddle boarding, mountain biking, swimming, canyoning etc. Whatever your imagination can think up (and that includes relaxing beside the lake), you will be able to find it here. Lastly, you are so close to the section of the Italian Alps called The Dolomite Mountains that it would be a shame to cut your trip short here. Make your way up to The Dolomites for some cycling, hiking and/or climbing and I will guarantee you will be raving about Northern Italy for many, many years to come. 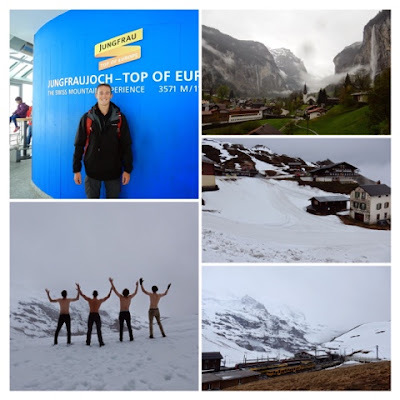 The Swiss Alps are probably also already on your bucket list but I wanted to make sure it stays there! It is easy to get scared away from Switzerland because of the over-inflated prices, however you can't put a price tag on things you will experience there. Interlaken, in particular, is the most beautiful little village I have seen. Surrounded by impressively tall, snow capped mountains with stunning waterfalls free-falling down into the valley, the Lauterbrunnen region is truly a gem worth exploring. Depending on the weather, often the mountains are partially covered with clouds, giving a slightly mystical feeling to the peaceful and heavenly little town. The village itself is home to cute wooden houses with perfect green grass and well kept gardens. You will never want to leave! Lauterbrunnen is also in the Jungfrau region, giving you access to Jungfrau Railway which will take you to the highest railway station in Europe. While very expensive, this is a once in a lifetime opportunity and the view is one of a kind. I recommend going all the way to the top of the mountain where numerous viewpoints, an ice palace, restaurants and so much more all await you. If climbing is one of your hobbies, then this is another reason not to miss Lauterbrunnen! 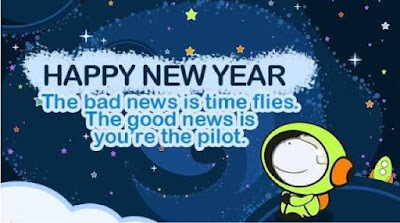 So there it is! That is five destinations that I hope are now on your bucket list. Other destinations that come in close include Sarajevo in Bosnia, Plitvice Lakes in Croatia, Porto in Portugal and many more! My Europe travels aren't finished so watch this space carefully as I will update you if any new destinations make it to the list.